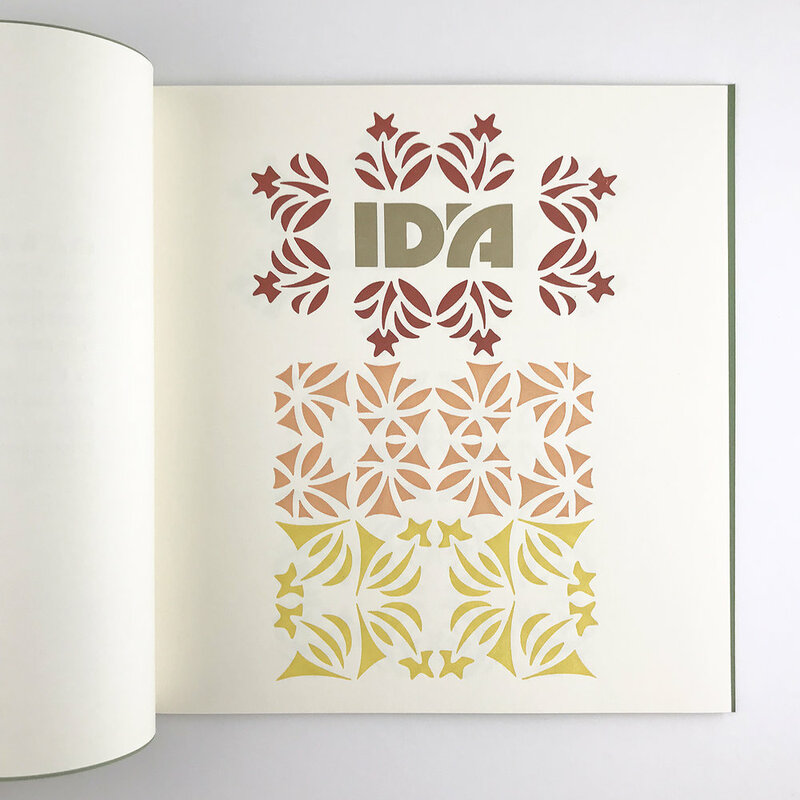 Ida and Lucy are ornaments sets designed in the Spring of 2017 and pantograph cut by Virgin Wood Type. 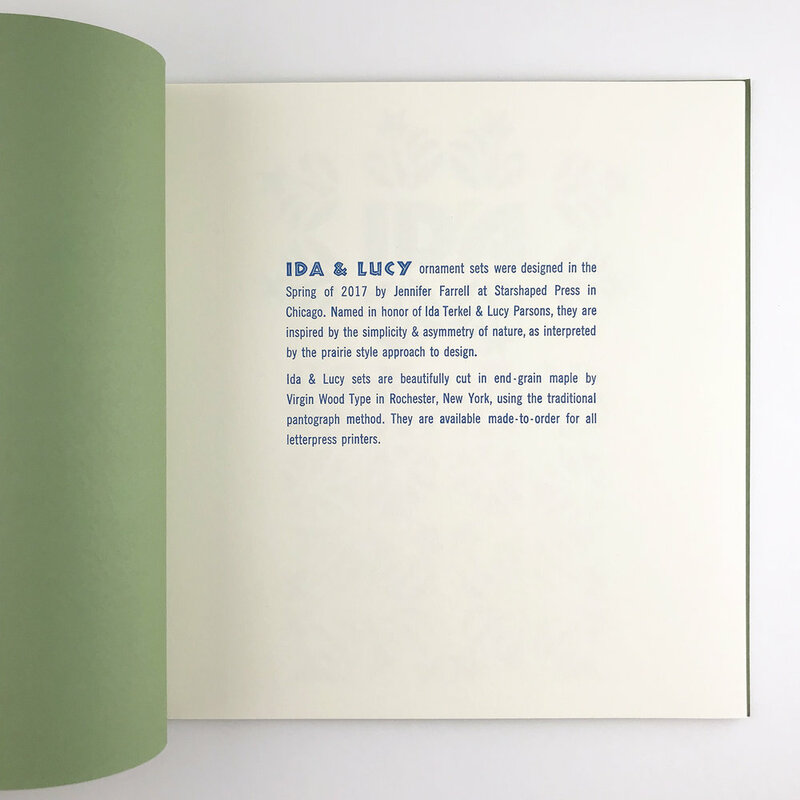 They are inspired by the simplicity and asymmetry of nature and named after Ida Terkel and Lucy Parsons, two well-known Chicagoans. 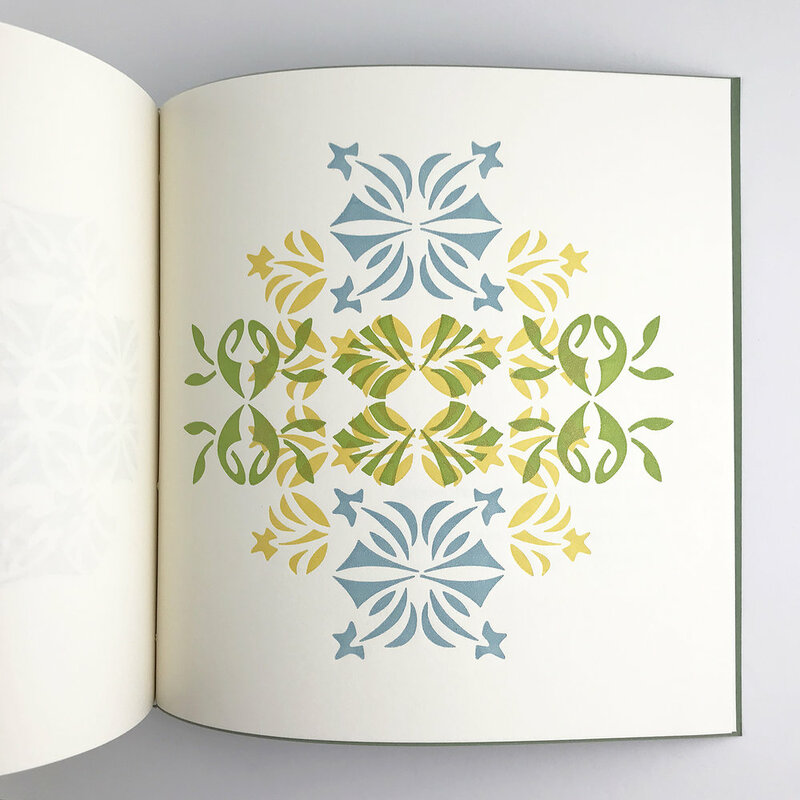 The specimen book showcases various patterns created by the ornaments to demonstrate their potential and is available here. 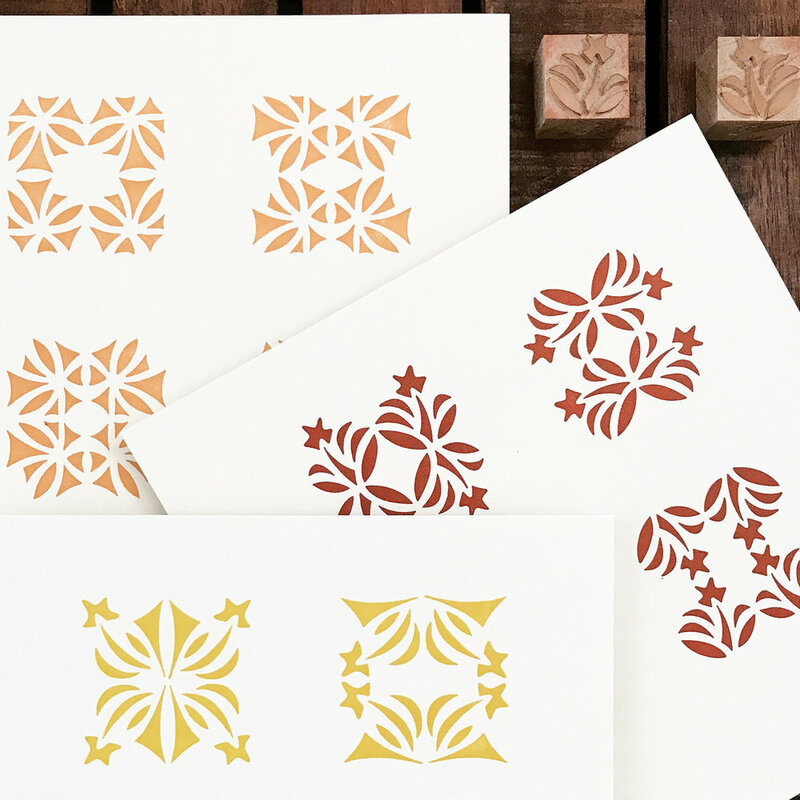 The ornaments are made to order via Virgin Wood Type.